I was excited to hear back from Jennifer, the mom and me contest winner from March. Her newest addition turned 6 months so we got their whole family together for some summer photos. 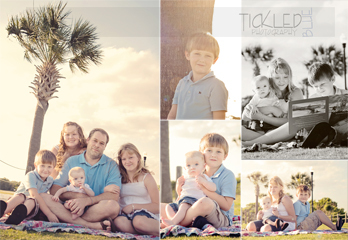 They turned out great and I love how their clothing colors added some softness to these photos.